No doubt you are winning at something if you are drinking Champagne, especially French Champagne. The stuff is golden nectar of the gods poured in a glass. Here’s to hoping that this New Year’s Eve you can stare at the sparkling section of your local wine purveyor with some basic understanding of the labels. It can be confusing especially when there is so much French involved. “It’s all French to me.” as someone recently said. But is it really with Prosecco and Cava involved? And of course there are the delicious domestics. Sparkling wine is made around the world but only called Champagne if it is made in the Champagne region in France using a specific method. Methode-Champenoise is a labor intensive and costly process by which the wine undergoes a secondary fermentation in the bottle, creating bubbles. Champagne can range in sweetness based on the dosage, or how much sugar is added. Sugar is often but not always added during the traditional Methode-Champenoise and what amount is added will dictate the label. Below is a list of designations starting from least amount of sugar added to most amount. *Extra Dry is found on domestic sparkling wine bottles and actually means less dry than brut but not sec or secco which would be deemed sweeter. At the shop we have many options ranging in price from Louis Perdrier sparkling wine to vintage Dom Perignon. Vintage champagnes are made from grapes grown in a single exemplary growing season. These are supreme examples of what champagne can be and are therefore often costly. Perhaps a great way to celebrate an abundant year with friends and family is with a vintage champagne. We stock a couple that deliver Dom taste without the price such as L’Armandier-Bernier and the famed Bollinger, favored by James Bond. We also have a selection of the best value prosecco, cava and sparkling wines from Spain, Italy and the USofA. Here are some of our favorite NV (non-vintage) and vintage French bottles we stock for your convenience and pleasure. Louis Perdrier NV Brut– High quality French sparkling wine. Notes of apples, some richness with a citrus finish. Great for a budget and any party! Forget Brimont NV Brut– Sophisticated champagne in the $25.00 range from family run winery. Offering notes of ripe gala apples, ginger and biscuit. Shows fine balance and elegance. Billecart-Salmon NV Brut Blanc de Blancs– Family owned and run Champagne House. Deep, wide aromas—cumin, buttery pie crust. Shows good length and presence on the palate; flavors are zesty citrus enveloped in a smooth minerality. A good apéritif. Billecart-Salmon NV Brut Rosé Pale strawberry-pink color. Light raspberry and white pepper aromas, with a raspberry crème brûlée flavor profile. Clean and dry, with good length and heft. Moet & Chandon NV Imperial Rosé This solid, muscular rosé might be the ticket to turning a red wine devotee on to Champagne. Flinty around the edges, with tight, tart red fruit. Veuve Clicquot Ponsardin 2004 La Grand Dame– Intense, serious and persistent. Yellow stone fruit flavors are bright but kept in check with mineral, herb and citrus peel through the finish. L’ Armandier- Bernier 2002 Premier Cru– Growers Sophia and Pierre L’Armandier focus on organic farming. They use low doasage or no dosage in their Blanc de Blanc which is 80% Chardonnay and 20% Pinot Noir as traditional method dictates.This vintage is broad and rich, scoring over 95 pts with Robert Parker. It is clean, refreshing and fabulous to pair with a New Years Dinner. Bollinger La Grand Annee 2004 Extra- Brut– exceptional vintage with 90 plus ratings from Parker and Tanzer! Notes of toasted bread and candied fruit, rhubarb, notes of exotic spices. Perfectly balanced and pleasing in any application. And this champagne is featured in James Bond films! So, you can drinky it and be classy and continental like that! Any way you choose to celebrate you will win with these selections! Remember whatever you choose, to drink responsibly. Photo by Caitlin Steva PhotographyWe specialize in unique Bourbons and Whiskey at the Market Basket. It’s something we are passionate about. This year, Wilson Living Magazine asked us to hand-pick a few special varieties for their Bachelors of Wilson photo shoot, featured in the March/April issue. We hand-selected our 10 year old Eagle Rare single barrel from Buffalo Trace Distillery in Frankfort Kentucky. This mahogany colored bourbon is full bodied that finishes with a nice spice note. This is our everyday, go-to, sipping whiskey at our house. And at under $30.00 it is certainly a great value. Eagle Rare is the only bourbon to wine double gold twice at the San Francisco International Spirits Competition. This is truly a rare bourbon that you will not find on every shelf. Named after president Abe Lincoln’s boyhood home in Kentucky, Knob Creek is a standout in Jim Beam’s small batch collection. 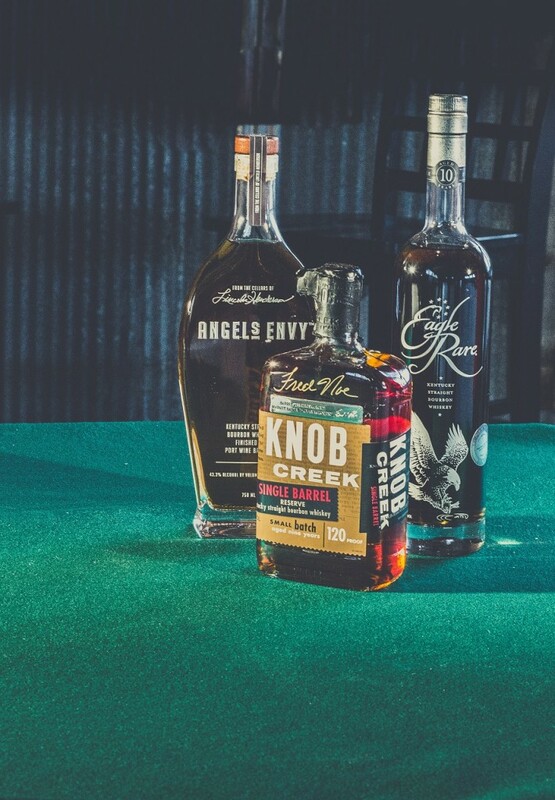 Our hand-selected barrel proof , 9 year old Knob Creek is special because it was chosen with the help of Fred Noe. Noe, who represents the 7th generation of the Beam family is also a Castle Heights grad. Full and smooth with a nice long lingering finish, Knob Creek can be enjoyed with a few splashes of water from the tap like Fred’s daddy, Booker liked. Fred was kind enough to spend some time with us and sign our bottles at the shop. These bottles are just special enough for the big day. Angel’s Envy get’s its name from the “angel’s share” or the small amount of whiskey that evaporates in the barrel during the aging process. This blended Bourbon is the swan song of late master distiller, Lincoln Henderson. Henderson is known for developing Jack Daniel’s single barrel as well as Woodford Reserve. His son, Wes now runs the show at Angel’s Envy as they continue to produce premium whiskey. While this whiskey can be delicate, our blend is full-bodied, balanced and expressive at the end. 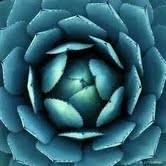 Angel’s Envy spends eight monthes in port barrels giving it a unique flavor. Billecart-Salmon NV Brut RoséPale strawberry-pink color. Light raspberry and white pepper aromas, with a raspberry crème brûlée flavor profile. Clean and dry, with good length and heft. Moet & Chandon NV Imperial RoséThis solid, muscular rosé might be the ticket to turning a red wine devotee on to Champagne. Flinty around the edges, with tight, tart red fruit. Bollinger La Grand Annee 2004 Extra-Brut– exceptional vintage with 90 plus pts from Parker and Tanzer. Notes of toasted bread and candied fruit, rhubarb and exotic spices. Perfectly balanced in any application. James Bond loved it and so will you! Any way you choose to celebrate you will win with these selections! Remember whatever you choose, drink responsibly. When I go out to dinner and order wine I hope that the wine I order compliments the food. The nights that I cook and I bring home a bottle of wine I try to pair it with the meal. After all, food and wine are friends who are meant to be together. They bring out the best in eachother. When wine is paired with food well with food it makes all the difference. Whether the dinner is for two or two hundred I like for things to taste good. No one wants to disappoint their guests. Ensuring that you have the proper pairing means understanding that the profile of the wine should compliment the food. An example of this is a good Sauvignon Blanc and a salad with vinegarette dressing. The acid in the wine stands up to the acidity of the dressing. Often the mineral characteristics in a white wine such as a Muscadet will compliment a dish with mineral tones such as raw oysters. Baked buttery oysters might prefer a buttery wine such as an oaky Chardonnay. Last Saturday night we had a wine dinner out on the lake. Luckily the following pairings were slam dunks. We started with mixed greens with lemon vinegarette. The chosen wine for this dish was Broken Dreams Chardonnay from Slo Down Wines. This dry, full- bodied Chardonnay has nice notes of tropical fruit and lemon zest. Lemon plus lemon equals success. The second course, a mushroom tart with gouda cheese was paired with a red blend called Oakley. This Syrah, Petit Syrah and Barbera blend is a true value blend from Sonoma County. It’s got a little bit of everything including 3% Pinot Noir. The strong cheese complimented the wine bringing out the fruit. The dinner was a Zinfandel and Zinfandel blend themed dinner. Oakley qualified with a tiny 3% Zinfandel in it’s blend. The winemakers even put a handy pull away food pairing chart on the back of the bottle. Next we served braised short ribs with root vegetables. I always love short ribs as there are a variety of wines to pair with these babies. I practically order these any time I see them on a menu. We chose the Zinphomaniac from Lodi to sip with the short ribs. Lodi is an iconic Zinfandel producing region in Central California. This wine brings loads of jammy black fruit with a touch of pepper and spice. We rounded out the dinner with ever popular Zinfandel, Syrah and Petit Syrah blend, Sexual Chocolate. This wine will make you blush or flush but it’s chocolate notes and supple tannins never fail to please. Dessert was simple- chocolates in a martini glass. And yes, chocolate can and does pair with wine. Dinner was a success. The key to the success was choosing the wines after tasting them with the food to be served. Thanks to Gina and Jim Stradley and Chef Julio for their patience and hard work. With the recent return of Will Ferrell’s scotch-drinking Anchorman character, Ron Burgundy, this is the perfect time to explore the basics of Scotch. Once referred to as “aquae vitae” or “water of life,” scotch is simply malted barley that is distilled in Scotland in column stills or in pot stills. 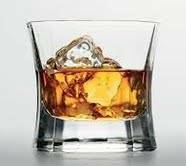 It’s a hot topic among folks who discuss the craft bourbons they enjoy in their place of repose or recreation. For some collectors, it’s an endless hunt for the rarest of spirits for their collection. Others simply sip their favorite and are quite content with that. Be it Old Charter, Jameson, Willian Larue Weller or Dewars. It’s made from barley, wheat, corn or rye distilled, aged, bottled, shipped and sold out of a box, off a shelf or in a drink at the bar. Each whisky varies according to region it is made in retaining those unique characteristics. These expressions represent generations of craft and are intimately linked with the history of the locations. Single malts, composed primarily of barley, are made in a pot still and originate from one distillery. Blended or vatted malts are are mixtures of single malts from different distilleries. So too are blended Scotch whiskies, except that they also include grain whisky, which is composed of corn and wheat and made in a column still. The good whisky is always kept in a special place whether its in a barrel, on a rack, on a shelf, in a cabinet, or even in a special room. Because of growing interest, good whiskey is in high demand. Scotland is traditionally divided into four regions: The Highlands, the Lowlands, Islay and Campbelltown. The Speyside region housing half of Scotland’s distilleries was once considered part of the Highlands. Today it is recognized officially as its own district. In the Lowland– only three ditilleries remain in operation including Auchentoshan. Speyside as stated has the largest number of distilleries with some eighty or so including The MacCallan, Balvenie, The Glenlivet and the Glenrothes. The Highland region has Aberfeldy, Dalmore, Oban and Glenmorangie. The Islands is an unrecognized subregion. Arran, Highland Park and Talisker are among the distilleries in this region. Campbelltown, once home to 300 distilleries now only has two or three and Springbank is the best known of thise distilleries with a family history steeped in tradition. And then there is the Islay region which has eight producing didtilleries including Ardbeg, Bruichladdich, Caol Ila, Kilchoman, Lagavulin and Laphroaig. Just as the regions vary so do the characteristics of the Scotch from the different regions. Highland scotches tend to be light bodied delicate whiskies. Highland scotch, Glenmorangie is Scotland’s favored malt in it’s 10yr style. The distillers revolutionized barrel aging by finishing scotch in sherry casks. Now after their success, other distillers have followed suit. The speyside malts have been desribed as having the fruit qualities such as bananas, pear and apples. There is little peat and maybe just a whif of smoke. Cream soda and lemonade have been found in the these whiskies as they can be essentially sweet. Whereas the The lowland scotches are known for the flowery characteristics as they don’t use peated malt. Notes of heather, mint spice and pears are used to describe the central lowlands scotch- Aberfeldy. They have sweeter characteristics but are not typically as sweet as the Speyside malts. The finish on these scotches such as the Auchentoshan is dry and therefore perfect for an aperitif. Smoke is is the predominant characteristic of the Islay scotches. Islay scotches vary from the northside to the southside which houses the peatiest of producers Lagavulin and Laphroig. These scotches therefore pair perfectly with a cigar. The Islay scotches from the Northside like Kilchomen still retain a bit of smoke but are not quite as robust as the southside scotches. Campbelltown scotches are full bodied and full flavored sometimes being described as having a seamist quality. Springbank can become raisiny and rich with age. Take time to enjoy the wide variety of scotches. Don’t turn your nose up at blends such as Dewars and Famous Grouse. These are good blends that you can count on to be found at most bars. With a little bit of research we know that Famous Grouse is made from MacCallan and owned by the same company. Dewars is actually made from Aberfeldy scotch. Johnny Walker makes a fine blended whisky. Many may not know that the famous gold label is made from Clynelish scotch. The myth and lore that comes with many of these whiskies often makes them more desirable and even more collectable. Often times you will be surprised and delighted to learn more about what you are drinking no matter what it is. Hopefully this abbreviated scotch primer is encouragement to go out and do some research. It can be entertaining as well as educational! In 2008 I took a last minute trip to Napa with a friend. By some sort of stroke of good luck we travelled down a dusty path to Ehlers Estates. I had never heard of these wines, being new to the wine business. In addition, they aren’t exactly taking out full page ads in wine spectator. So, after doing the big name wineries cliche thing we were pleased to find the historic stone winery that is Ehlers. I didn’t buy a whole lot of wine on that trip, but the most expensive purchase of wine that I made was at Ehlers. This bottle was their flagship silky smooth cabernet called 1886. I knew at the time that I could not purchase this wine in TN. 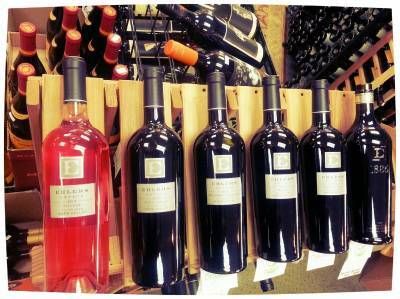 I was very excited when I found out that one of our smaller distributors had picked up the Ehlers wines. I am pleased to announce that we now sell the cabernet franc, the merlot , 120 over 80 Cabernet Sauvignon and yes, their flagship, much beloved by me, 1886. But, you see there is so much more to this wine. The founder of the winery, frenchman and philanthropist, Jean Leducq began buying up parcels of land in St. Helena in 1985. In 2001 he combined the original 14 acres and historic stone winery along with an additional 40 acres that composes Ehlers today. The best part of this wine, aside from the fact that it is organic and biodynamic is that all of the proceeds of the sales of this wine go to a nonprofit organization that funds heart disease research. In fact,Vanderbilt received two million dollars last year from the Leducq Foundation.WOW. The wine is amazing, the people who make it are conscious about our environment and about the greater good of the human race. Not to mention they operate out of a gorgeous old stone building that was erected in 1886 by Bernard Ehlers! And to think I had no idea back in 2008, I just liked the wine. I hope my customers choose to try this wine. It is sure to astound the palate. The 1886 is filled with notes of plum, black cherry, violets and cinnamon. Petit verdot adds a whisp of blueberry. There is just a touch of merlot blended in to warm up the middle. The finish is long and strong. This year we were fortunate enough to bring in the highly sought after Petit Verdot in addition to the rose’. Both wines were out of sight literally and figuratively! I will be back at Ehlers in October! I plan on representing Lebanon well! We are excited to have such a strong relationship with these producers! Malbec Throwdown We had a lovely French Malbec blend at dinner two nights ago on vacation that was the inspiration for this blog and consequential “Malbec tasting throwdown”. I have had many Malbecs from Argentina and surprisingly few from France where Malbec has its’ beginnings as a lowly blending grape. Times have changed and Malbec has come into its own, the shining star, premier grape in Argentina, particularly Mendoza. The grape was first introduced to the region in the mid 19th century when provincial governor, Governor Domingo Sartiena instructed the French agronomist Miguel Pouget to bring grapevine cuttings from France to Argentina. Argentine Malbec wine is characterized by its deep color and intense fruity flavors with a velvety texture. While it doesn’t have the tannic structure of a French Malbec, being more plush in texture, Argentine Malbecs have shown aging potential similar to their French counterparts. The Mendoza region is the leading producer of Malbec in Argentina with plantings found throughout the country in places such as La Rioja, Salta, San Juan, Catamarca and Buenos Aires. In France, Malbec has an identity crisis. It traditionally was grown in 30 provinces, according to the Oxford Companion to Wine (a.k.a. “The Great Big Book of Everything”). And it had almost as many names. In the Loire Valley, it is known as cot but plays second fiddle to Cabernet Franc; in fact, maybe fourth fiddle, behind Gamay and Pinot Noir as well. Its most hospitable ground is in Cahors, midway between the Atlantic and the Mediterranean, where it traditionally was known as auxerrois, an unfortunate name that can only be pronounced correctly when coughing up a hairball. Although the grape orriginates in France under several names, Argentina is foremost and reknown for Malbec. The country grows 70% of the world’s Malbec. So the winemakers of Cahors responded to Argentina’s success by embracing “Malbec” as the name of their grape and displaying it prominently on the label. They also have increasingly bottled their wines as 100 percent Malbec, though the appellation laws allow some Merlot and Tannat in the blend. The same thing has happened with Chardonnay. As a result of this new marketing emphasis by Cahors, we have a wine throwdown of sorts. On beach vacation with a friend (who certainly loves a good throwdown) we bought a couple of bottles. This is a tremendously fun way to explore wine. The french wine is a Kermit Lynch wine, a Cahors consisting of 80%Malbec and 20% Merlot. I was not sure about it the first time I had it and figured a second time would seal the deal, good or bad. The Argentinian wine from the well-known Catena family of wines. Both wines were the same price, $15.99. Argentina tends toward a polished New World style, with new oak prominent to varying degrees and what I call “disappearing tannins,” by which I mean you can sense them in the inherent structure of the wine but you don’t necessarily feel them on your tongue and teeth. My friend preffered the wine Argentina citing the cherry properties. The French expression, on the other hand, is more earthy. The nose had the barnyard thing going which I loved while my friend disdained. New oak is not as prominent (and I hope the vignerons of Cahors don’t change that). The flavors and textures are a bit more rustic and chewy, and they often get even better a day or two after the cork is pulled. Cahors somehow combines a hint of Bordeaux-like class (the Atlantic influence) with the ruggedness of warm-climate wines from the Mediterranean. So, basically if you like a “New World” feel to your wine, an Argentinian Malbec might be for you. The Cahors is for a French wine lover, someone who appreciates a more “Old World” style wine. Malbec makes a very food-friendly pairing partner with its concentrated black cherry and blackberry fruit components, fig-like flavors mocha and mineral notes along with a unique gamey quality that often rolls out with smoke, pepper and tobacco spice. From roasted and stewed beef or game to braised lamb, sausage, mushrooms, and spice-laden sauces, Malbec has the versatility and spice-affinity to handle a stunning array of food combinations and ethnic cuisines.